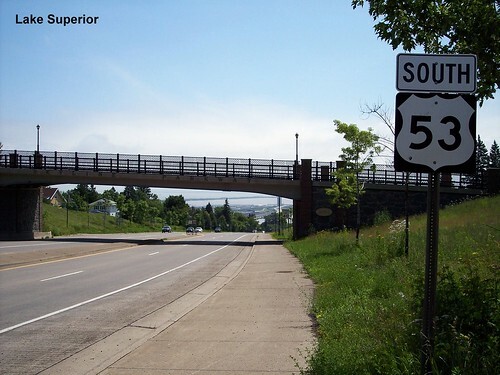 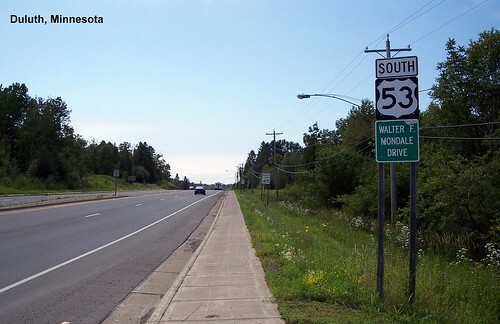 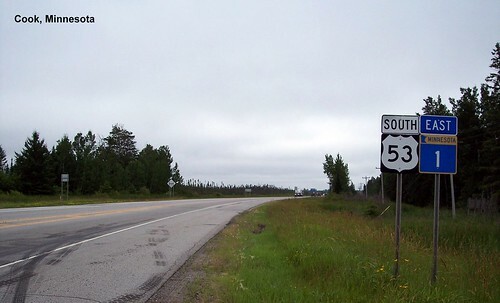 The first US 53 shield just after leaving the border inspection station. 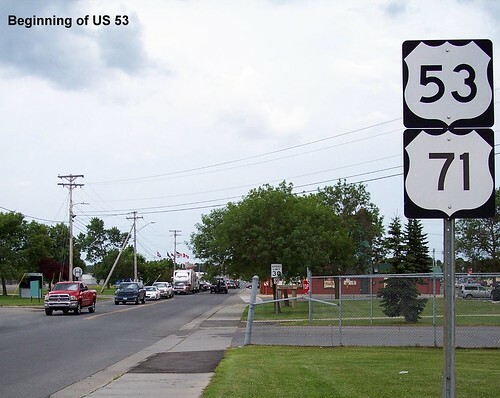 US 53 and US 71 both start at the border. 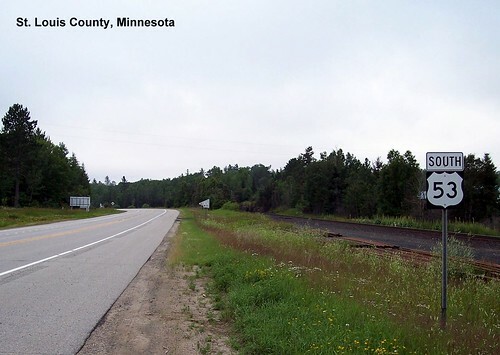 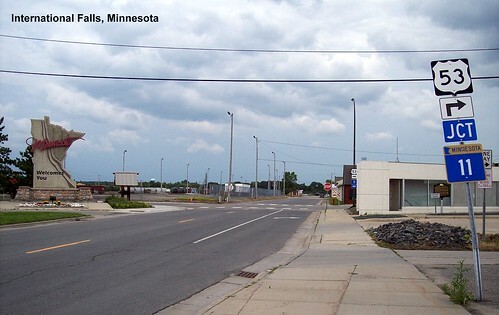 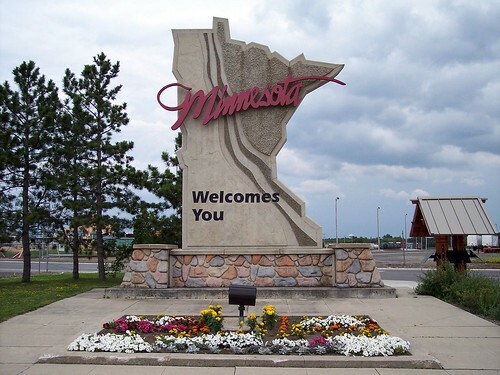 A few blocks later we see a large Minnesota Welcomes You sign. 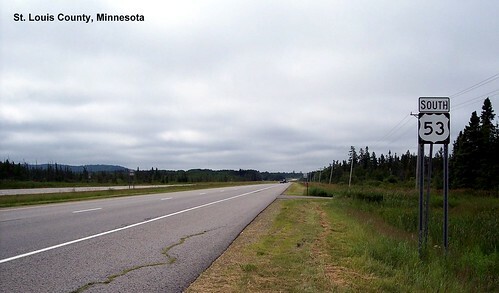 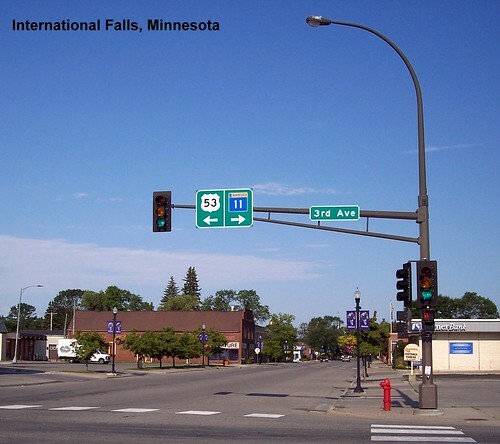 A lot of open road once we leave International Falls. 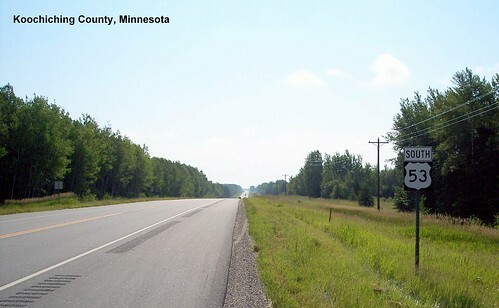 Lake Superior is visible in the distance.